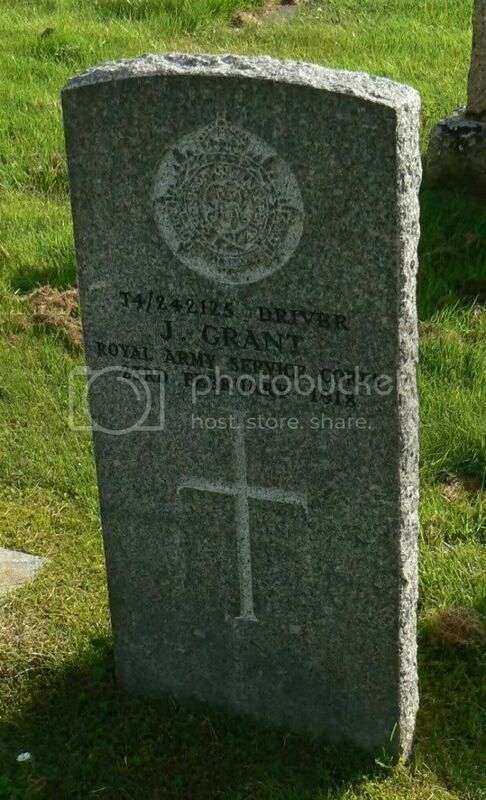 Additional information: Son of Robert and Margaret Grant, of Backcharn, Grantown-on-Spey, Inverness-shire. Grave/Memorial Reference: 165. 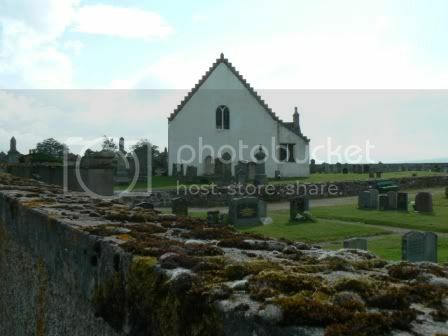 North East of Church. Grave/Memorial Reference: 7. North of Church. 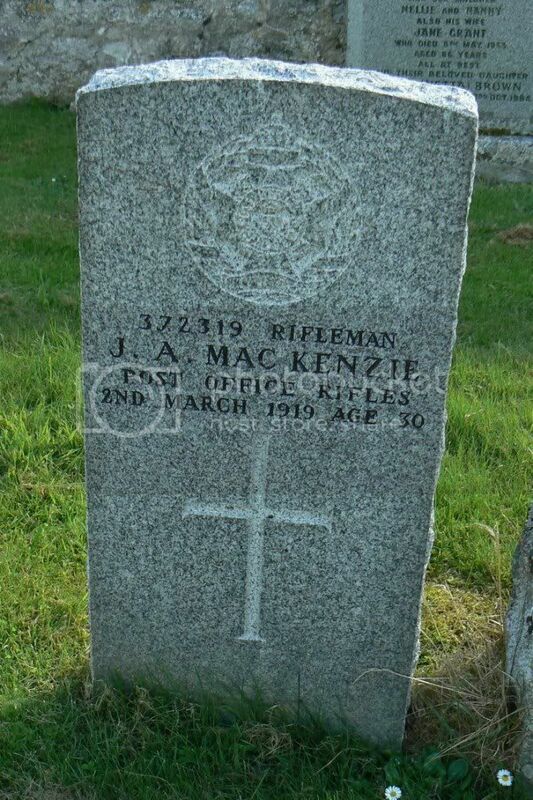 Additional information: Son of Alexander MacKenzie. Grave/Memorial Reference: 38. Near North-East boundary. Grave/Memorial Reference: 2. North of Church. 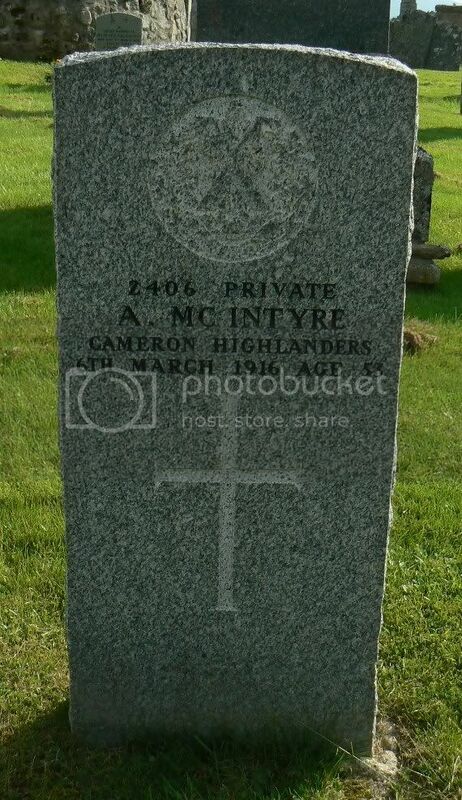 Additional information: Son of Donald McIntyre, of Causer, Nethy Bridge; husband of Bella Morrison McIntyre. Grave/Memorial Reference: 1. North of Church. 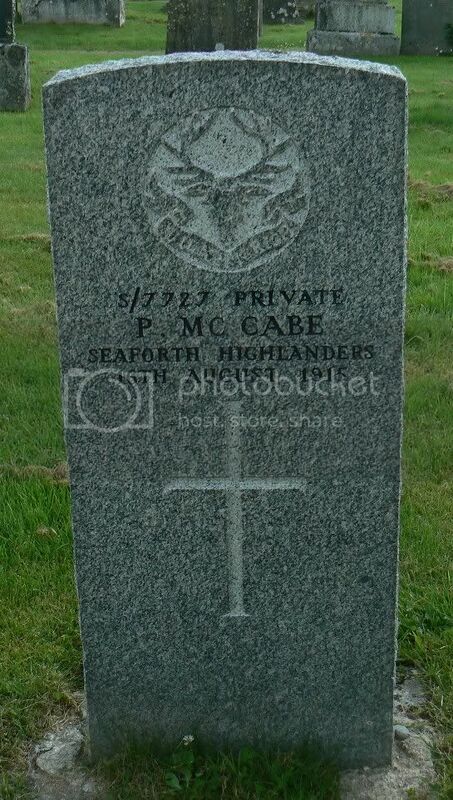 Additional information: Son of Mrs. Macandrew (formerly Ross), of Causer, Nethy Bridge. Grave/Memorial Reference: 35. Near North-East boundary. 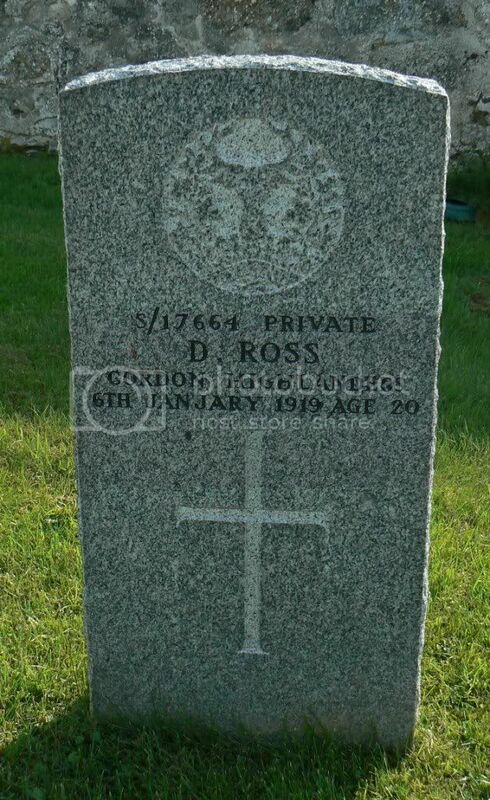 Additional information: Son of Jeann Ross, husband of Bella Brownie (formerly Ross), of 86, High St., Grantown-on-Spey. Grave/Memorial Reference: 258. West of Church. 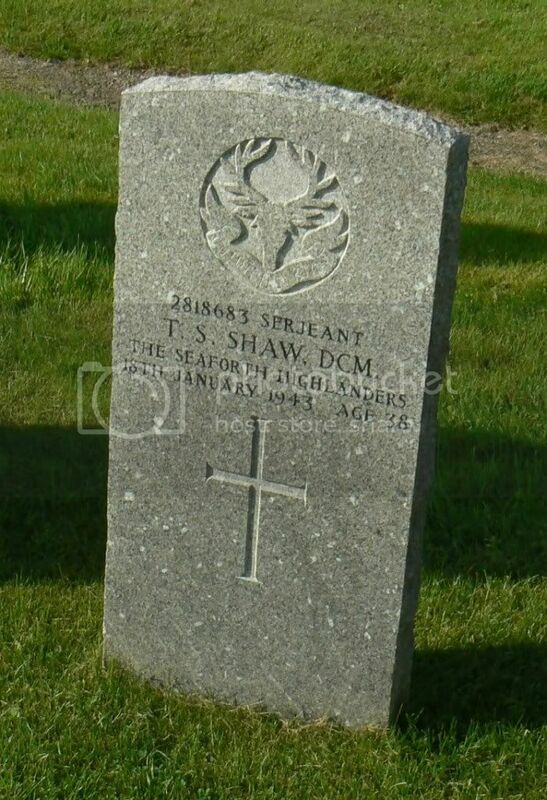 Additional information: Son of Alexander Shaw and of Mary Ann Shaw (nee Robertson); husband of Mary Ami Christina Shaw, of Nethy Bridge. Secondary Unit Text: attd. 525 Bty., 155 H.A.A. (M) Regt. 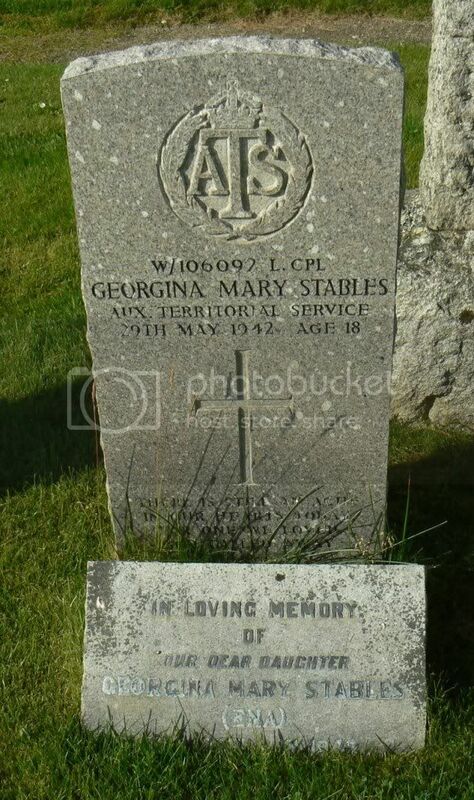 Additional information: Daughter of John Forbes Stables and Elizabeth Stables, of Nethy Bridge. 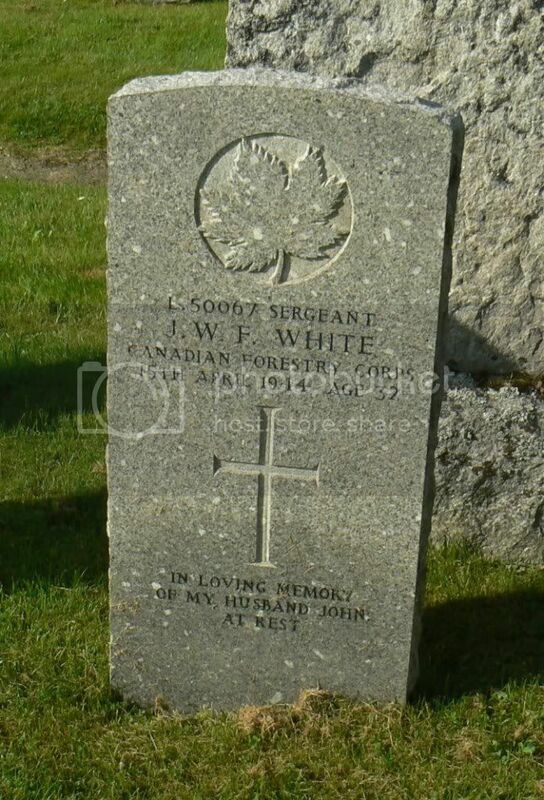 Additional information: Son of John Hunter White and Mildred Ruth White; husband of Elsie White, of Nethy Bridge. 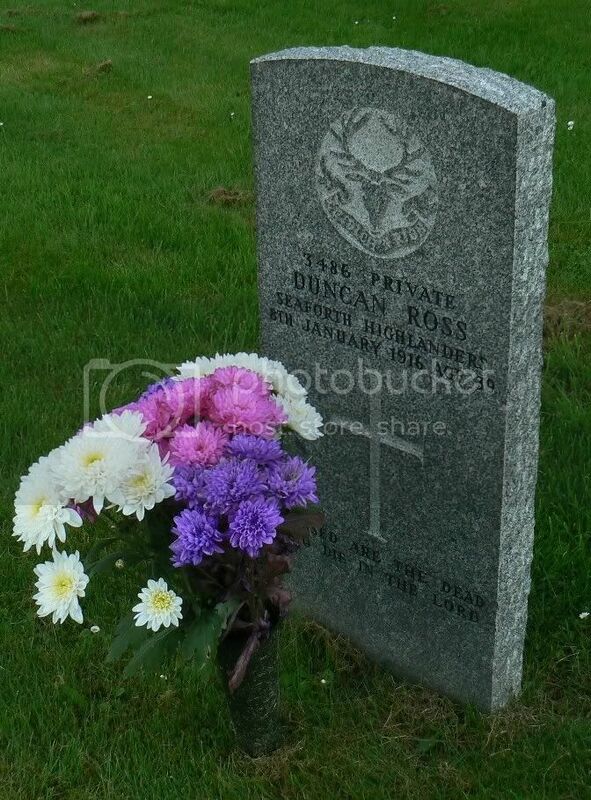 Additional information: Son of James and Margaret Lily Cairns, of Kirkintilloch, S'clyde. 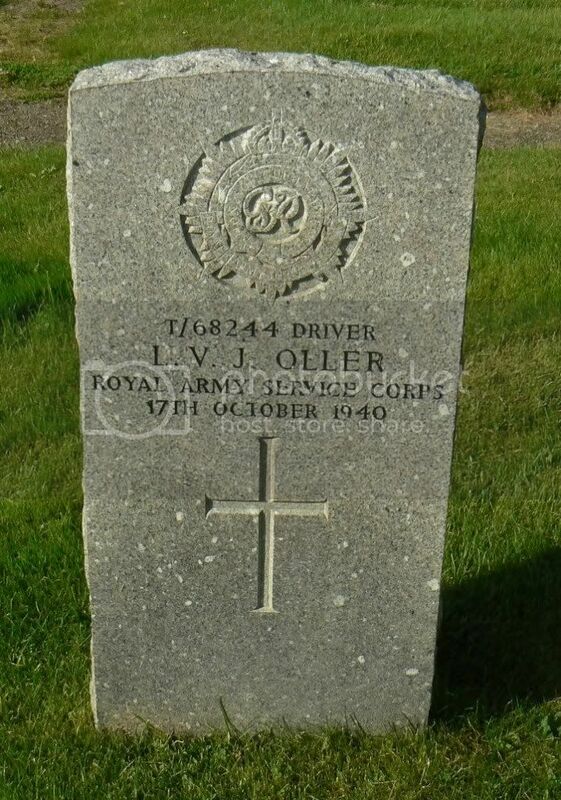 His brother John George (Ian) also died on service. Grave/Memorial Reference: Plot 4. Row A. Grave 4. 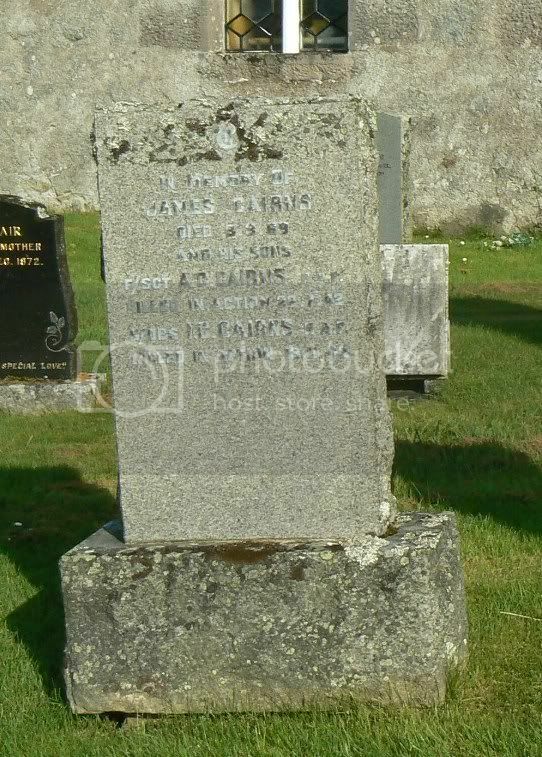 Additional information: Son of James and Margaret Cairns, of Kirkintilloch, Dunbartonshire. 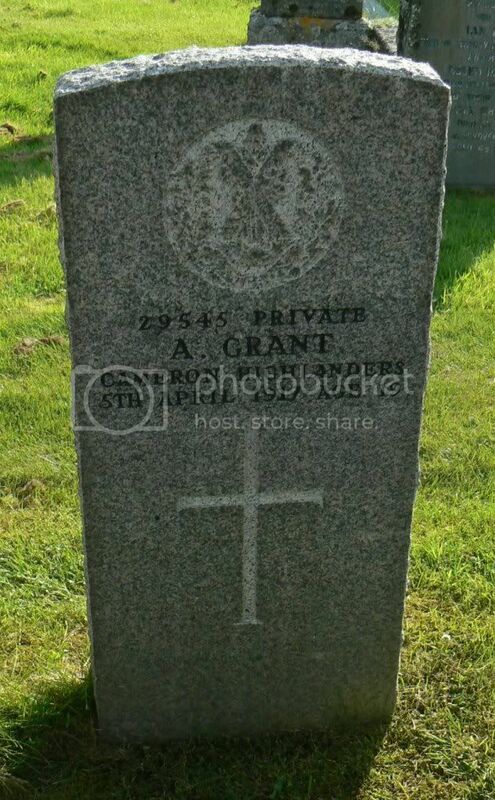 His brother, Allan Grant Cairns, also died on service. 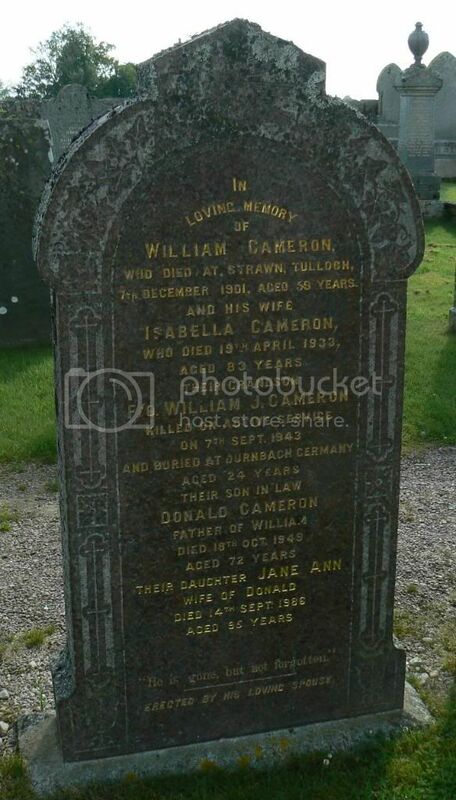 Additional information: Son of Donald McGillivray Cameron and Jane Anne Cameron; husband of Barbara Doreen Cameron, of Bristol. Grave/Memorial Reference: 7. G. 8. 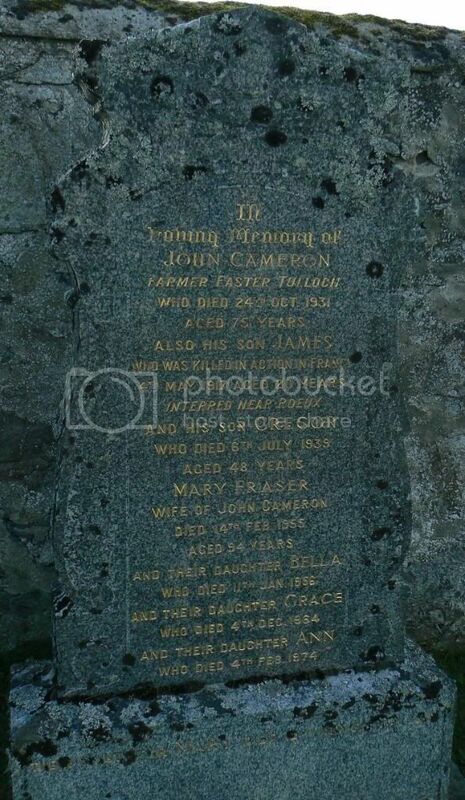 Additional information: Son of John and Mary Cameron, of Easter Tulloch, Nethy Bridge, Inverness-shire.